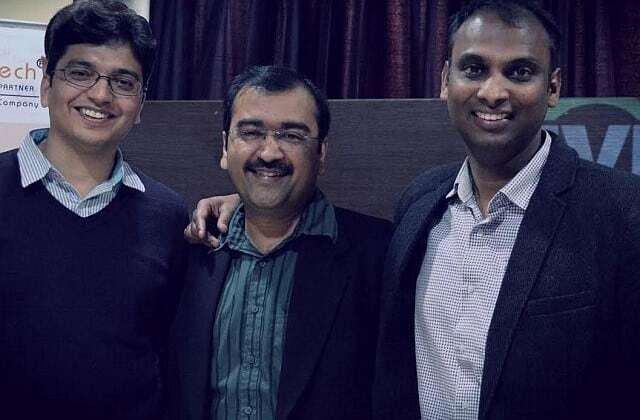 BY ANUSHA ASHWIN Founded in 2015 with a mission to develop a smart test platform for testing every inefficiency that exists today, Smart Software Testing Solutions Inc (SSTS) is the brainchild of three tech nerds – Lalit Jain, Pankaj Goel and Avinash Tiwari. SSTS was formed with the vision to create products and platforms for testing of mobile apps in a connected world. Early 2016, SSTS acquired cloud-based smart mobile testing platform pCloudy.com. It has also raised $1 million in pre-Series A round of funding from YourNest Angel Fund as part its expansion plan. Director of pCloudy, Avinash Tiwari, reveals all about the inception of his company, its products and future plans. “Our mission is to develop a smarter test platform for every testing inefficiency that exists today. It is a platform that empowers testers to write automated tests in their natural language and not some machine language. Our solution allows them to test their mobile apps on real devices in cloud. It gives them the power of analytics to write and run relevant test and let them use their functional tests for performance and security testing. The list is long and we know we are not yet there a cent percent. But we surely are reaching out for ‘Star A’ feature at a time. The new age testing mantra is simple – ‘It’s testing at the speed of business rather than business at the speed of test’,” states Avinash Tiwari. The company now has two successful products OpKey and pCloudy. Both these products have made a breakthrough in the market for the company. Tiwari admits that the founders picked up the changing trends early. OpKey, he says, was created to simplify the Test Automation puzzle. At a time when organizations were facing challenges scaling up their automation initiatives – because they were dependent on programmers to do this task – OpKey changed this paradigm. With OpKey, even BAs and Functional Testers could create automation scripts and the company’s clients loved it. Very soon the founders realized that organizations moving towards agile practices needed test automation as their backbone. “We made OpKey truly agile ready,” exclaims Tiwari. One more key trend that the founders picked up early was growth in mobile testing space. As almost every organization is undergoing a digital transformation journey, Tiwari emphasizes that his pCloudy is a right-fit as a testing platform for organizations in this digital journey. pCloudy is a cloud-based, plug and play app testing platform catering to mobile businesses, e-commerce companies and large enterprises. “It is noteworthy that none of existing players provide the combined value like our two products – OpKey and pCloudy. Very soon, we will be launching a single click app certification platform which is going to simplify the testing activity dramatically,” comments Tiwari. In 2006 the founders created an independent Software QA and Testing space called CresTech. However, they felt that US was not the market for service-based software testing companies. That’s why, around 2009-10 the founding team conceptualized a ‘Commercial off the Shelf Solution’ called OpKey with Tool Agnostic Test Automation Platform. In 2012, SSTS became a product license company in answer to the problem and OpKey became a product to make it a success. The founders have been running a successful independent QA organization, CresTech Software Systems for the past 10 years. CresTech differentiator has been to provide IP driven services to its clients. That’s why in 2009-10, they conceptualized OpKey to simplify the Test Automation activity. “OpKey soon became one of the key differentiators for us and helped us win some very large projects. Lot of customers started asking separate licenses for OpKey. With this success, we increased our focus on OpKey to make it more robust as an independent product and also broaden its scope. Support for Mobile testing was a natural extension for OpKey. We also envisioned a complete SAAS model for Test automation using OpKey. All this required investment,” elaborates Tiwari. In December 2015, Your Nest Angel Fund, an early stage venture capital fund, provided the company with the pre-series funding to the tune of $1 million. With the funds in hand, they acquired pCloudy. “We could see the growth trend in mobile app test space. So, we started working on Mobile App Automation capability within OpKey in 2014. When we came across pCloudy, it looked aligned to our product and vision for mobility space. It was clear that with pCloudy, we can left shift our product development by almost a year. Besides it would provide us early mover advantage in markets like India and APAC,” claims Tiwari. Pointing to some evidential statistics, Tiwari says that in terms of market mobility, Cognizant predicted 80% of the total market demand is Functional Test, Automation Test, and Performance Test. ABI Research’s prediction indicates that mobile app testing automation will push the revenues close to $800 million by the end of 2017. “Right now, we are catering to an exponentially growing mobile app testing market in India, estimated to be around $60 million. We are positioned quite uniquely as we are the only player in India as well as the entire Asia Pacific region to provide on demand access to Asia specific mobile devices. So, in addition to serving the Indian market, pCloudy’s geographical expansion plans include catering to the APAC region by 2017 namely in Philippines, Singapore, Malaysia and Indonesia. We are also focusing on Americas and South East Asia. These are the markets where we see tremendous growth happening and it’s going to keep us occupied for the next year or so. By December 2017, we intend to expand into Middle East and Europe. The decision to move to Middle East and Europe will be governed by how much we are ready with our planned smart vertical focused accelerators,” outlines Tiwari. “We are aiming to reach about a $1 million in revenue in first year. In terms of product, apart from OpKey, pCloudy and the IoT platform prototype, we are also planning to launch our Single Click App certification platform soon and we are pumped up about this one. We also plan to enter into a niche segment of ‘Tech-Enabled Enterprise Right Sourcing’”. Currently, the company’s employee strength is around 40. The core product team is in place and the immediate plan for the founders is to expand the sales team. The company is looking at some niche hiring in the area of IoT and machine learning. They intend to do few hiring at senior level like CMO and Chief Architect towards end of 2016. Masters of Smart Test Platform 0 out of 5 based on 0 ratings. 0 user reviews.